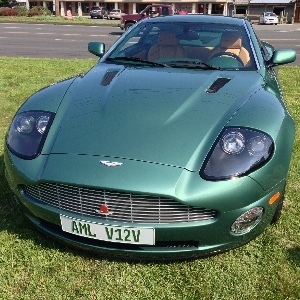 Categories > Events > USA East Coast Events > Madison, CT, All-British Show with Aston Martin Class !! The Jaguar Club of Southern New England is holding its annual end-of-the-season all-British car show on the Madison, CT town green on Saturday, September 26. What's a little unusual is that there is a separate class for Astons! Usually, because we are so few at cars shows, Astons get lumped with 'other' British cars; not so at this show. Last year the show drew more than 100 cars, and this year looks to be the same given the favorable forecast for next Saturday. You can register for the show on line and also pay by CC. It is only $15 if you register in advance and also pay before Thursday. If you wait to register day of show, or wait to pay your pre-registration until then, it is $20. DB9 How was the event? Oh well, better luck next year !